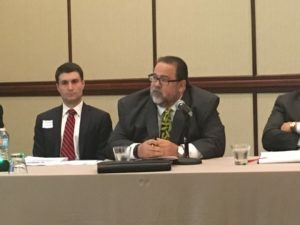 Advocates from across the nation arrived in Kansas City recently to testify at the Environmental Protection Agency’s (EPA) one and only field hearing on proposed 2017 targets under the Renewable Fuel Standard (RFS). Out of about 160 registered speakers, nearly 90 percent urged the EPA to make more ethanol and other biofuels available to consumers in next year’s fuel mix. 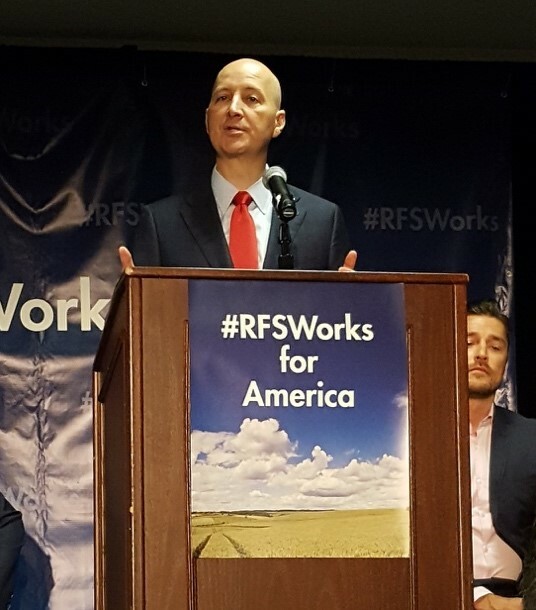 Nebraska Governor Pete Ricketts urges the EPA to increase biofuel targets. 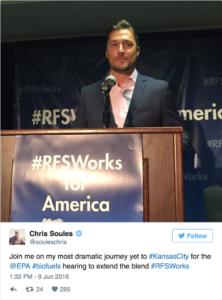 Later in the program, Chip Bowling, president of the National Corn Growers Association, had some fun, noting his own nickname – King Corn – before introducing Iowa farmer Chris Soules, who many called Prince Farming during his stint as The Bachelor on the hit television series. One thing everyone agreed on was that the EPA must increase its 2017 targets. The agency has proposed conventional blending targets at 200 million gallons below statutory levels, as set by Congress. Bob Dinneen, president and CEO of the Renewable Fuels Association, calls on the EPA to aim higher during his testimony at the Kansas City field hearing. To push the EPA in the right direction, biofuel leaders urged supporters, neighbors, and friends to submit comments to the EPA by July 11, when regulators will start writing a final rule.